Thank you to Monroe Police for their donation to the Louisiana Cancer Foundation! In November, the department participated in “No Shave November.” Per department rules, uniformed officers are not permitted to have facial hair. However, with a donation of $20 to the LA Cancer Foundation anyone wanting to grow a beard were able to during “No Shave November.” Over $1,000 dollars was raised. That money will be donated to Prostate Cancer Awareness. 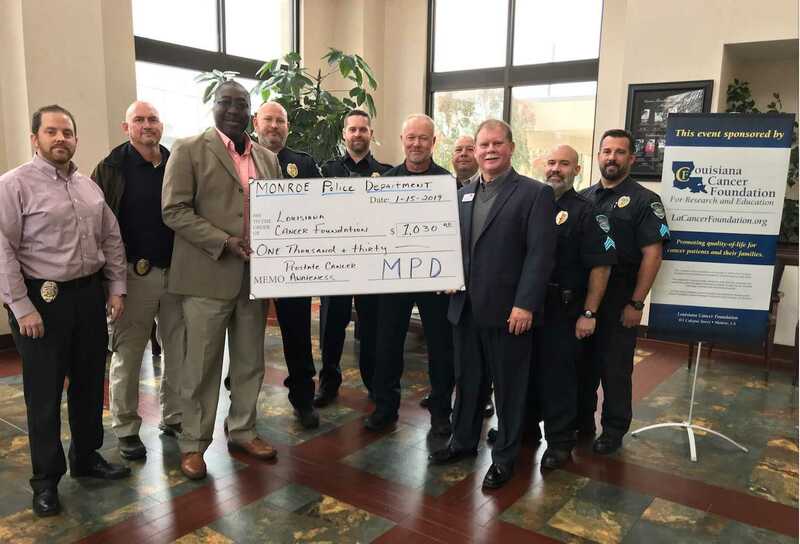 This was the first partnership between the Louisiana Cancer Foundation and the Monroe Police Department. Both groups are looking forward to partnering together again.